Home / Adventure / denmark / Europe / International / Travel and Living / Viking Cruise Ship docked at Copenhagen! I haven't been on a cruise ship yet. That is still in the bucket list. 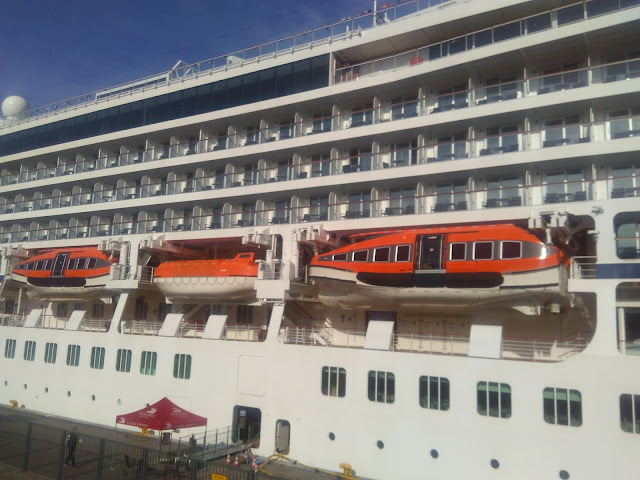 I have had short trips across international waters on large boats, otherwise known as ferries (between Copenhagen-Berlin, Helsignor to Helsingborg etc)- these are 4-5 stories in height but do not compare with cruise ships. Spotted below cruise ship- belonging to Viking, currently docked at Copenhagen, Denmark. Life boats are size of a bus. There are 3 on each side. I guess just about 10% can be accommodated in life boat in case of an emergency and if ship is fully loaded. Rest will have to try survive with life jackets. 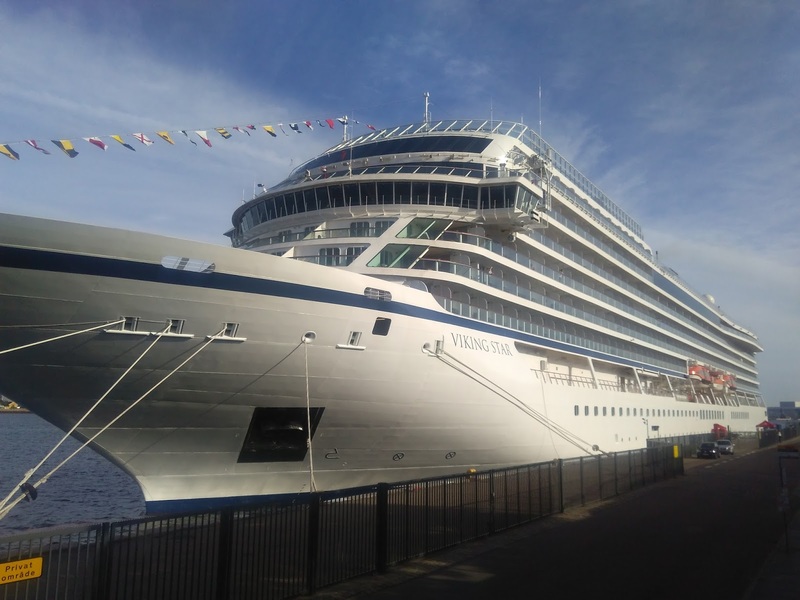 The cheapest of their cruises cost USD 2000 onwards, with most of the 10-15 day cruises costing around USD 3000-5000. Some of the most luxurious options cost upwards of 10-12k USD per person. 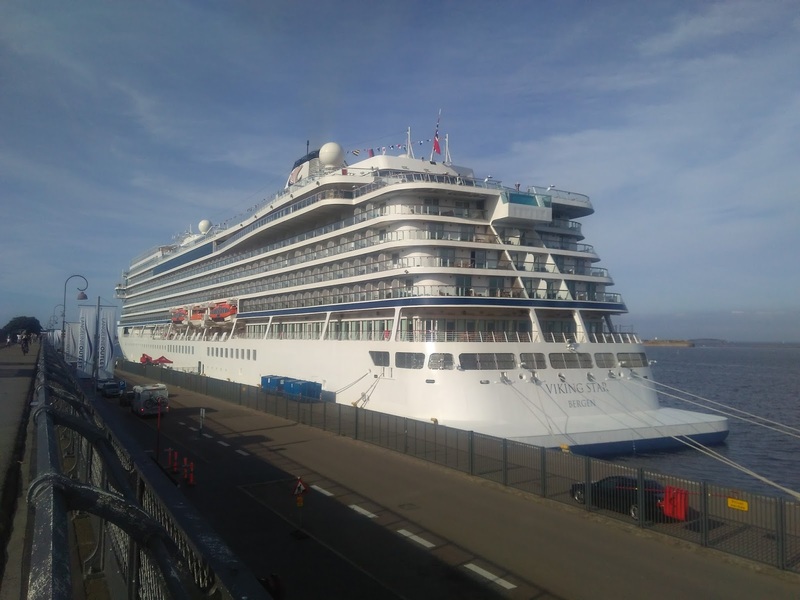 So you will need lots of time and money to enjoy a cruise, plus should be able to book months in advance, if not years. So getting onboard such a ship for a long cruise is going to be in bucketlist for some more time. Beautiful post with awesome pics ! 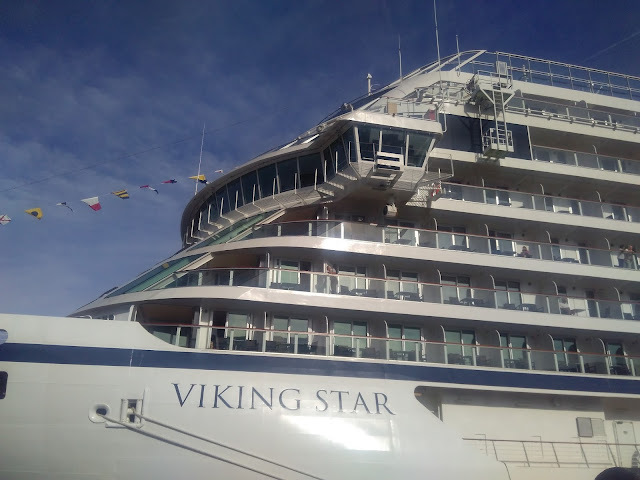 This cruise ship is a beauty for sure, 12 stories!!!... Well hope you get to journey on a cruise ship in your lifetime full filling your bucket list.